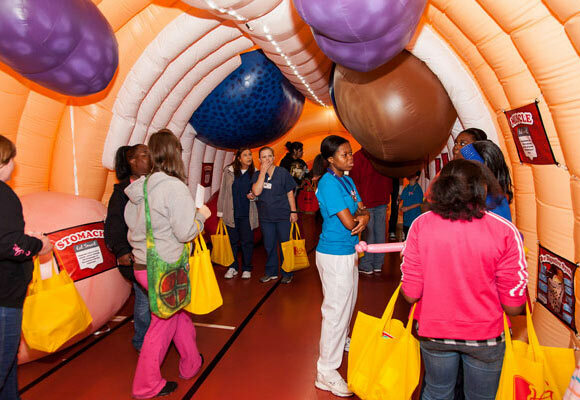 Discover how the human body works from the inside out by taking a hands-on, walk-through journey through an over-sized, inflatable replica. 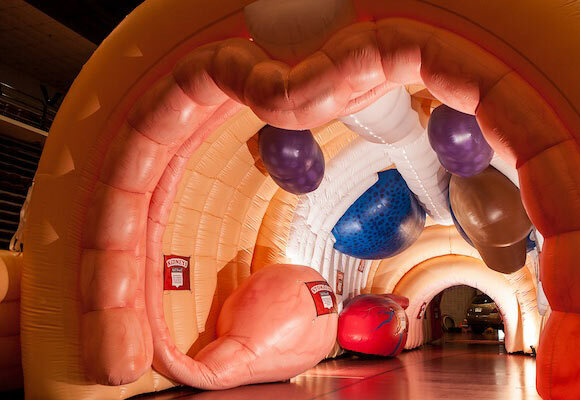 The MEGA Body, a scientifically accurate 50-foot-long, 12-foot-tall inflatable replica of the human body will be on display at The Discovery from Friday, August 31 through Sunday, September 2 only. Don’t miss it! The MEGA Body exhibit is appropriate for people of all ages and illustrates healthy body functioning along with preventive measures to help avoid common diseases. Participants will learn how choices they make at an early age can have a huge effect on their well being. It contains information about asthma, bone health, brain health, dental health, digestive tract, heart health, lung health, muscles, skin, risk of stroke, and more.